there is no Sunday Favorites Post today, as I gave my blog a little makeover over the weekend. I love the way it looks now, what do you think?? 🙂 But now, onto some nail art! 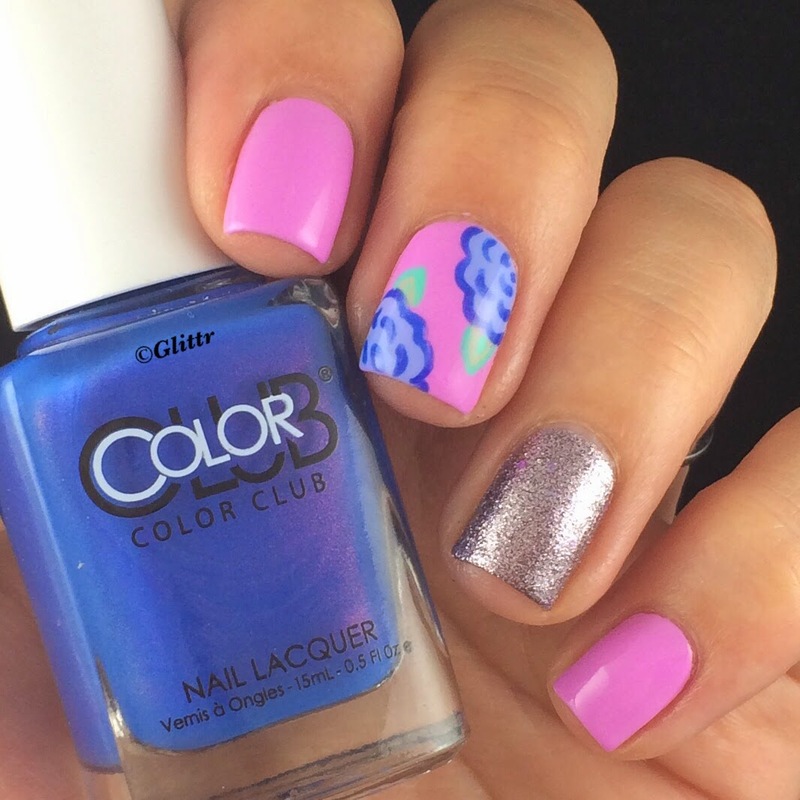 I did this cute little accent mani the other day using all ColorClub polishes and I really liked how it turned out! 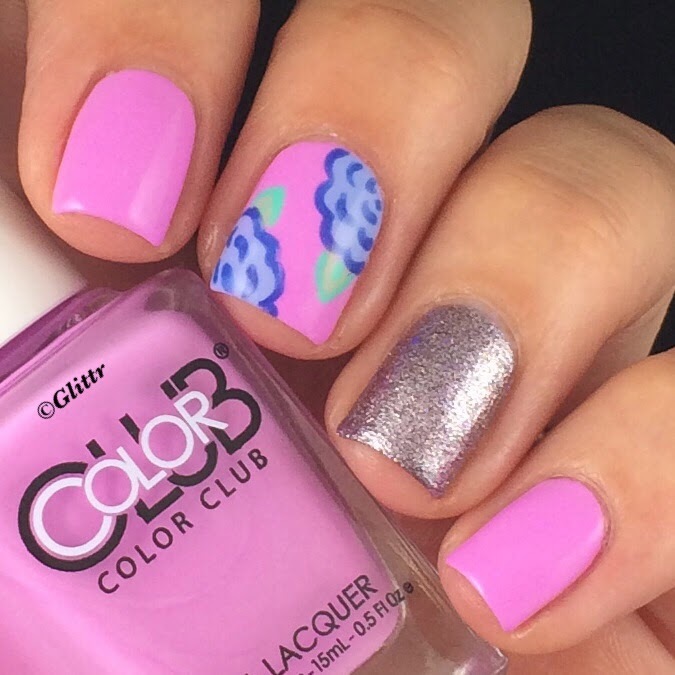 For my base colour I used ColorClub Wicker Park, a gorgeous purple, almost pink colour. I already mentioned in a previous post about my favourite purple polishes, that this one made it to my top picks when it comes to purple, it’s such a pretty shade! 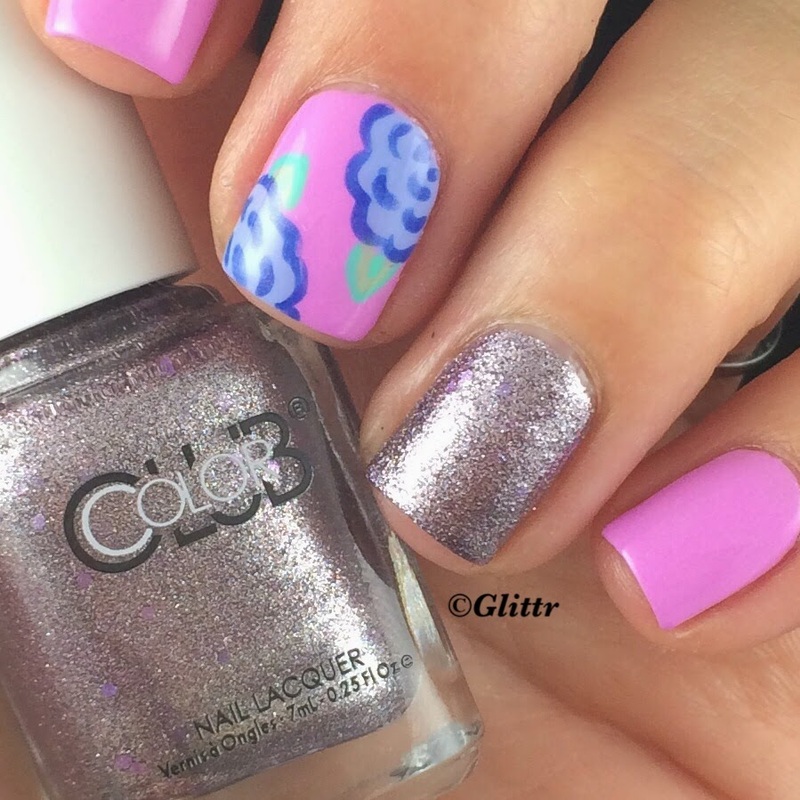 For the flowers I used a large dotting tool and the light blue shade Holy Chic!, then outlined them with Bell Bottom Babe using a thin nail art brush. 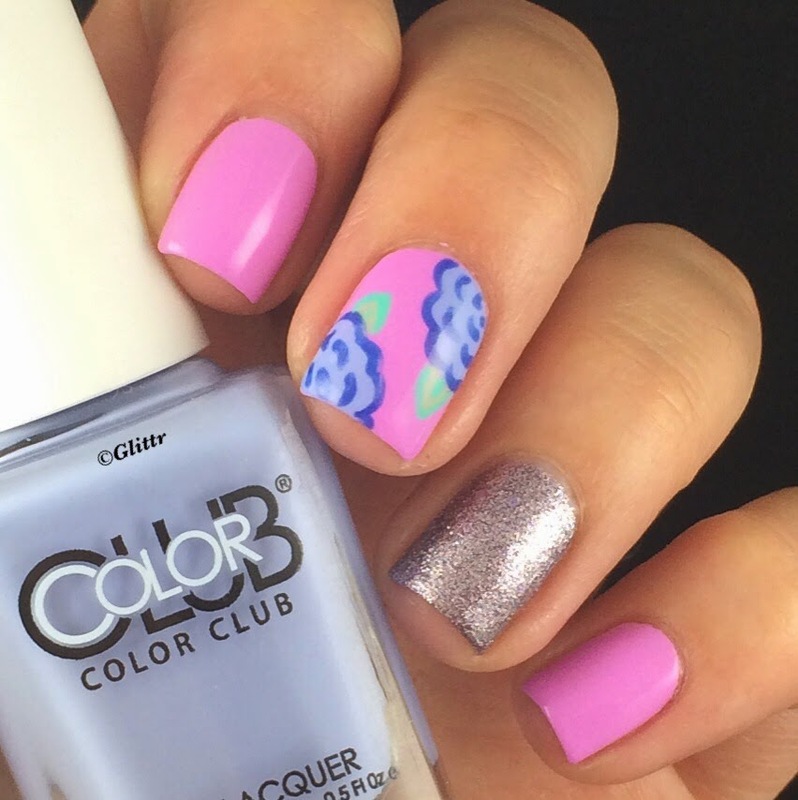 These are two stunning colors that go really well together! 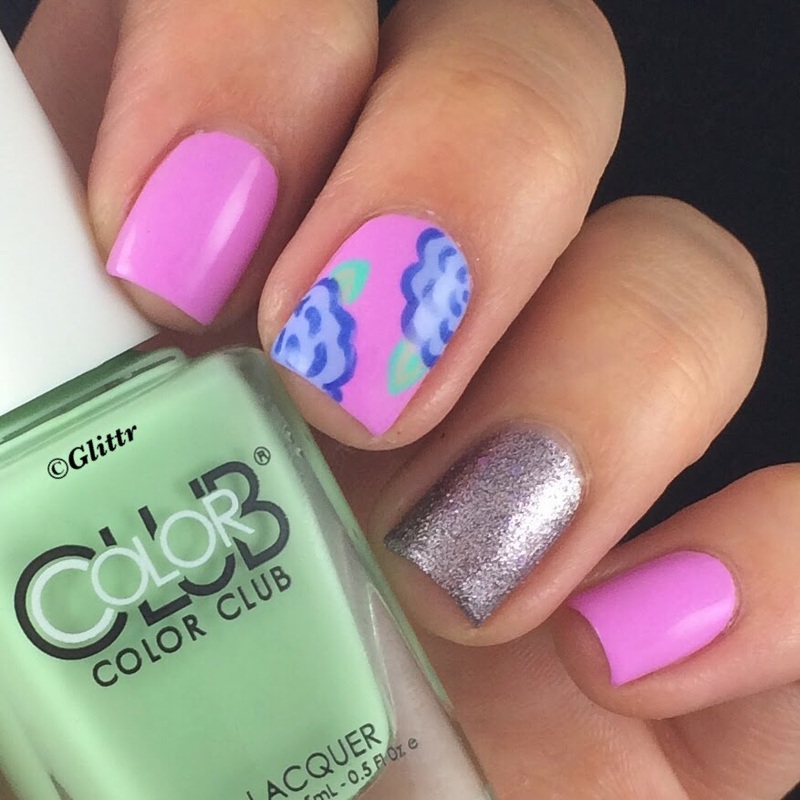 For the leaves I used La Petite Mint-Seur and outlined them with ChinaGlaze Too Yacht To Handle, the only non-ColorClub polish in this mani. For this I used the thin brush again. On my accent nail I’m wearing ColorClub’s Friends With Benefits from the new Seven Deadly Sins Collection which is the coolest dark purple-ish glitter ever! At first I thought it would be kind of textured or like a Liquid Sand polish, but it went on really smooth and looks so pretty! 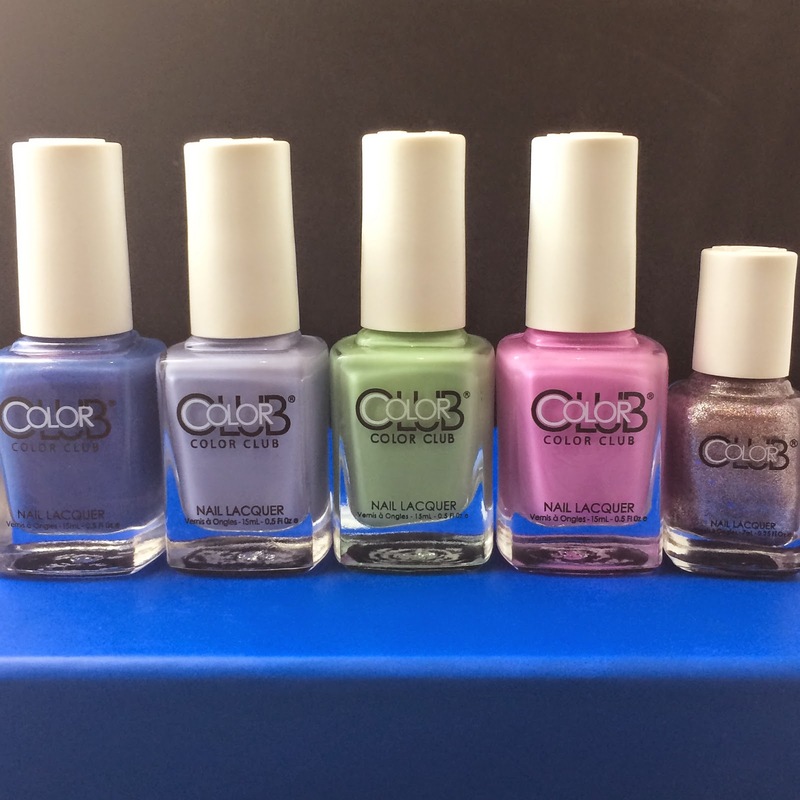 Bottle shown: ColorClub Holy Chic!